Can Consumer Browser Adware Impact Your eCommerce Sales? An eCommerce business typically experiences a cart abandonment rate of 56% to a whopping 81%. Now everyone is talking about how to optimize the on-site shopping experience. But what about the one thing that the whole internet seems to be talking about every other day? Yes, we’re talking about browser adware. In this article, we’re moving away from how adware causes internet security issues – you already know that. 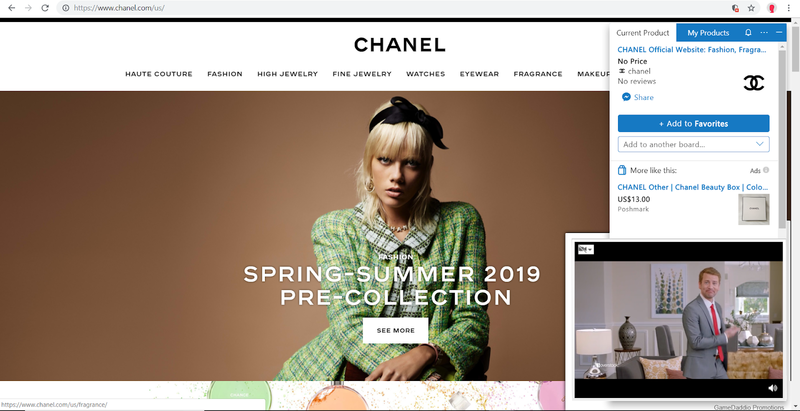 We’re going to talk about how they use browser injected ads that impact your eCommerce sales – because they’re unseen and are causing a lot of damage. Adware is an unwanted software designed to throw advertisements up on your screen, most often within a web browser. Typically, it uses an underhanded method to either disguise itself as legitimate or piggyback on another program to trick you into installing it. Right from intrusive popups promising a cash prize of millions of dollars to adult content, we have all experienced adware in different forms. We wrote an in-depth article on how each of these ads show up along with examples. If you’re curious too, check it out here! And the losses are too high to be ignored. But we’re not going to leave you with just a list of things that browser injects ads from adware impact. We’re here to explain the ‘how’ as well. Imagine going to an online store to make a quick purchase of something you need. You land on their site and the home page itself takes almost a minute to load with all the product categories and pictures. You might wait patiently once. But when you search for a product and then it happens again, you’re just going to end up getting irritated. Now that irritation will lead to two things – you thinking the brand not being good enough and you leaving their site. Browser injected ads add additional elements to your store pages on the consumer’s browser. This increase page load times by manifolds. These ads aren’t designed to be lightweight. Their one-size-fits-all approach focuses only on trying to inject themselves on every page possible. Take for instance a video ad. It makes the page heavier and increases its load time on the consumer’s browser. It additionally also impacts the shopping experience that a shopper walks in expecting from the brand. At a brick and mortar store, you can touch, feel and try products before making a purchase. It helps you decide if it is the product you were looking for or if it serves your purpose. But at an online store, it is only the product page that you get to make the decision. It is the information there that helps you make a purchase. Right from the product images, videos, descriptions, sizing guides and more, you have to some faith in the brand. So you’re basically trying to make the right purchase with virtual information. You have no way to try the product before a purchase – worst case, you’ll have to return or exchange the product. Majority of the page is cluttered with promotions. 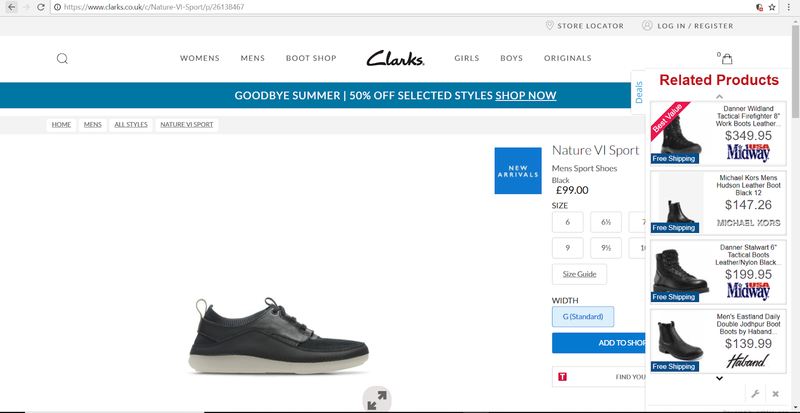 If you wanted to view the product details, you will have to interact with these ads – you would either try to close them or maybe click through one of the recommendations they’re promoting. Either way, the one thing that these ads are doing here, is stopping you from viewing more about that handbag right away. The entire usability is compromised. And that’s not what a product page is supposed to do. In fact, Optinmonster listed un-optimized product pages as one of the top reasons why eCommerce businesses lose conversions. As we mentioned before, adware has a way of not being found too easily. 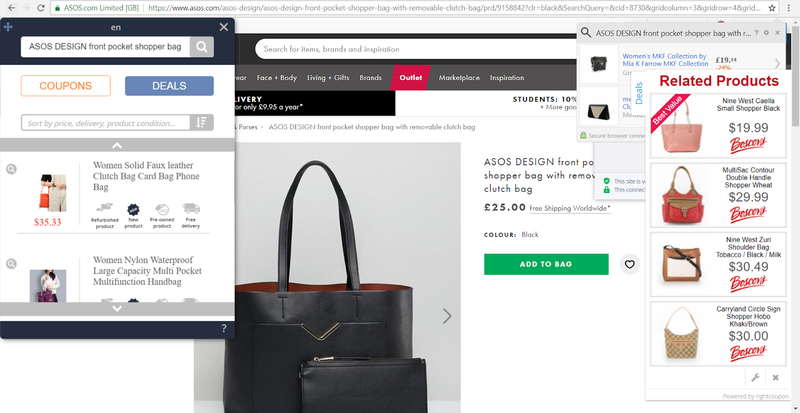 Browser injected ads blend in so perfectly with the store’s design that a shopper can hardly point out the difference. Take a look at this product page for instance. The related products on the right side are contextual to the product the shopper searched for. They are also displaying prices that might seem more appealing to a price-sensitive shopper. It is only when you click on these ads, that you’re taken to another site. Now two things happen here too. First, you accuse the brand of running promotions that are not on their site. Second, you get irritated because you’re taken to another site. So now you have to go back to the previous page to actually view the product on the store you wanted to buy from. Simply put, the browser injected ads interrupted the shopper journey. 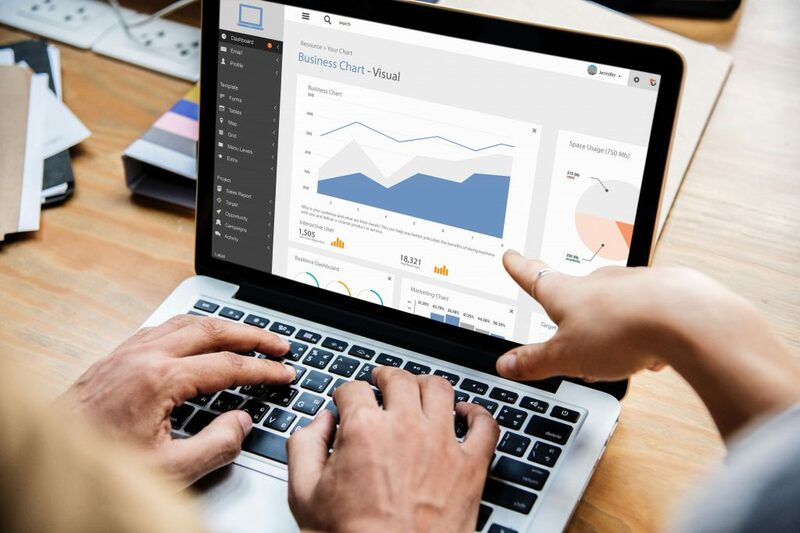 In this scenario, there is a high chance that the shopper either finds a better deal on another site or completely abandons the decision to make a purchase. And adware did exactly the opposite here. Continuing on our point above. When the shopper’s journey with a brand is interrupted, they are more likely to abandon the site. Whether it is from the product page or checkout, if something has distracted them enough and lured them away, you have lost a customer. Imagine if a site offered you an additional 10% discount on the product you’re purchasing from one site. You’ll obviously take the offer. Who minds saving a little while online shopping, right? But a distracted shopper like that contributes to 20% of your sales being lost. These are people that get lured away and never make it back. Considering the cart abandonment rates are skyrocketing by the day, that’s a customer segment you don’t want to ignore. Is adware impacting your eCommerce sales? More than $25B worth of sales are lost to adware in the US alone. Imagine taking into account the rest of the world where about 13,000 adware strains get introduced to the digital space every day. The compounding effect of adware strains and browser injected ads is too massive to be ignored. So while you’re focusing on offering shoppers the best of products, deals, and an amazing site to shop from, make sure they are seeing what you want them to. And that means you need to stop adware from injecting these ads before they’re actually shown to your shoppers. That’s where an adware removal software like Shield by BrandLock come in. It leverages the power of machine learning to analyze the adware strains on a regular basis. Working with a team of R&D experts, it then categorizes them and identifies the browser injected ads they may result in. Using this data, Shield proactively removes these ads from your site before they even show up – irrespective of the device and the browser a shopper is using. Removing these distractions have actually helped brands increase their conversion rates by a whopping 16%. So if your eCommerce business has been losing sales for reasons unknown, it is time to see if adware has been taking your shoppers away. Want to see if your online store is impacted by adware?